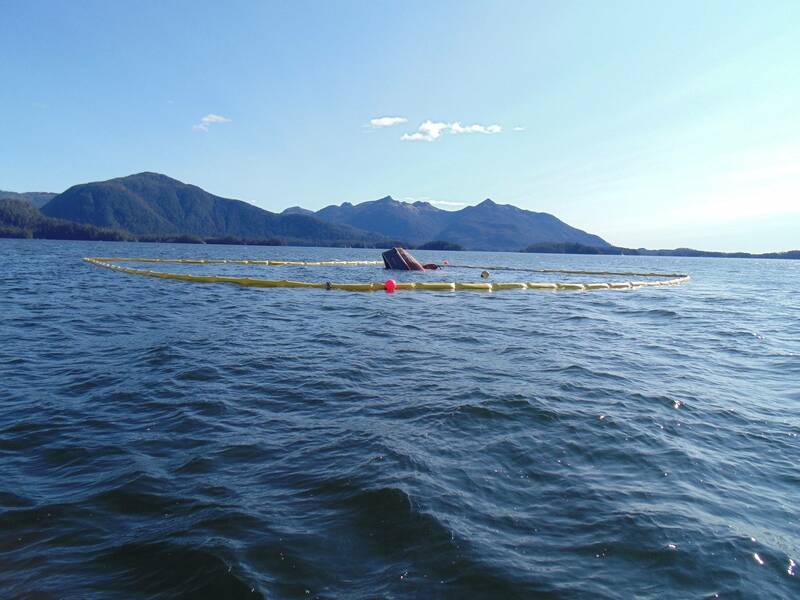 A 58-foot fishing vessel ran aground, sunk and spilled oil in Sitka, Alaska, according to the U.S. Coast Guard. No injuries have been reported, and there have been no confirmed reports of impacts to wildlife. The fishing vessel Pacific Venture, a 58-foot seiner, ran aground Tuesday evening and subsequently rolled over around 2 a.m. Wednesday, sinking in approximately 25 feet of water in vicinity of The Twins, roughly half a mile off the mouth of the Indian River in Sitka. The vessel’s owner reports 600 gallons of diesel fuel and 70 gallons of hydraulic and lube oils were on board, though it is believed approximately 10-30 gallons of oil were released into the water. A Unified Command has been formed to respond to the sinking and resultant spill. Alaska Department of Environmental Conservation, Coast Guard Sector Juneau, Coast Guard Marine Safety Detachment Sitka, Sitka Tribe of Alaska, National Park Service and the vessel’s owner are working with Sitka City officials to clean up the spill. Southeast Alaska Petroleum Response Organization (SEAPRO) and local responders began deploying boom around the vessel at noon Wednesday. Boom deployment was complete by 3 p.m. The Coast Guard said weather on scene is generally sunny with northwest wind of 8-13 knots and one-foot seas. The Pacific Venture is currently secured to shore by a line to keep it from drifting. Salvage operations are pending.